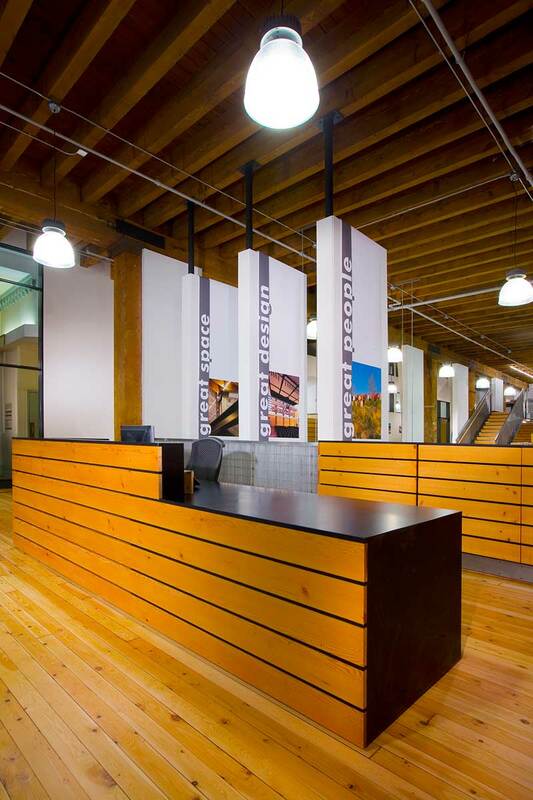 Kirtley-Cole Associates completed a new 12,900 SF tenant improvement for Integrus Architecture. 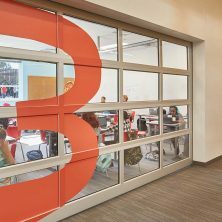 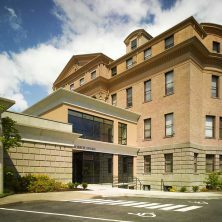 The project was designed to LEED Silver standards, but due to the dedication of the entire project team, the project was ultimately awarded LEED Gold certification by the USGBC. 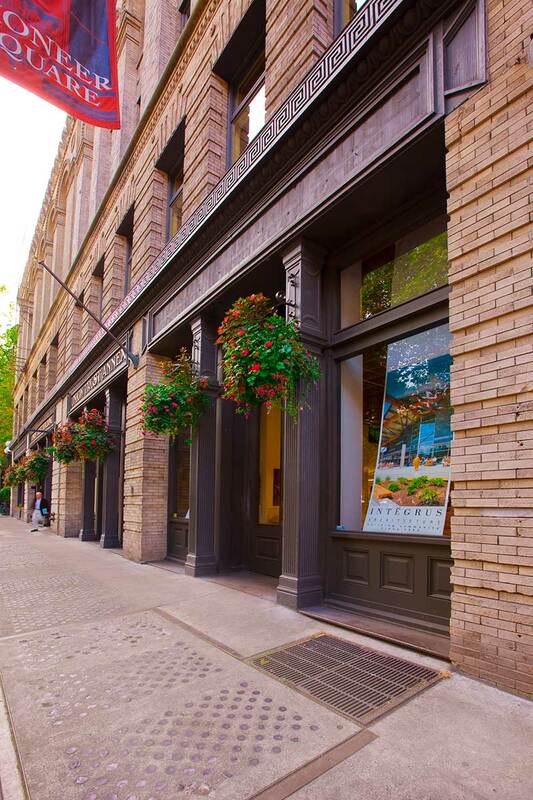 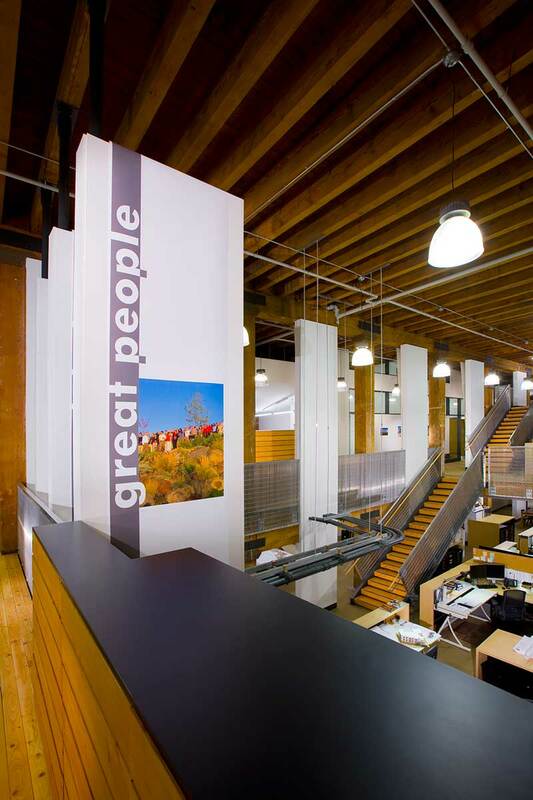 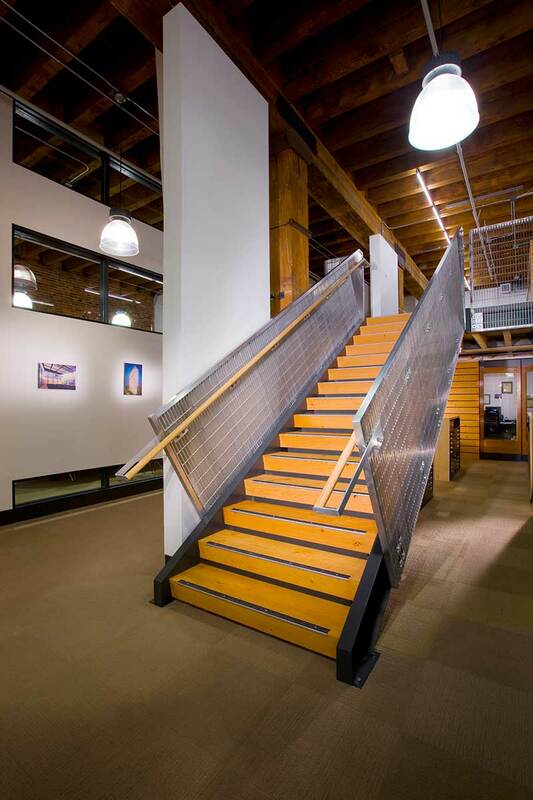 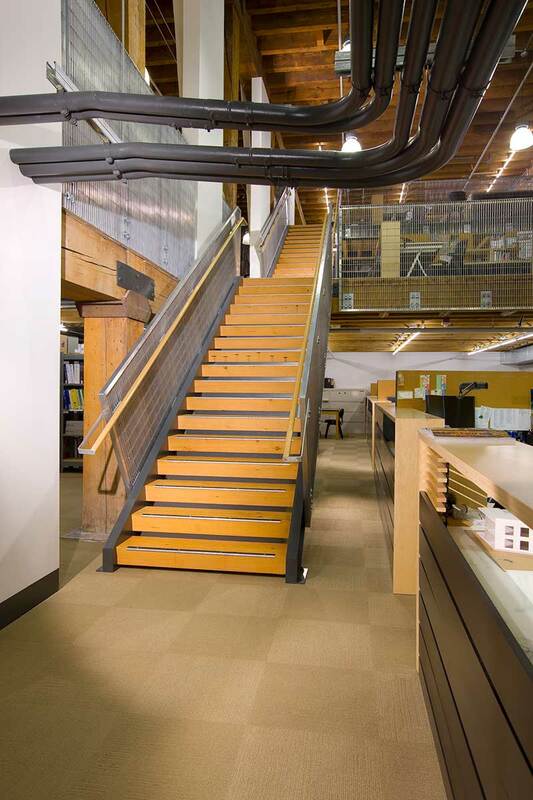 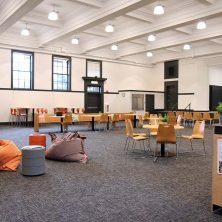 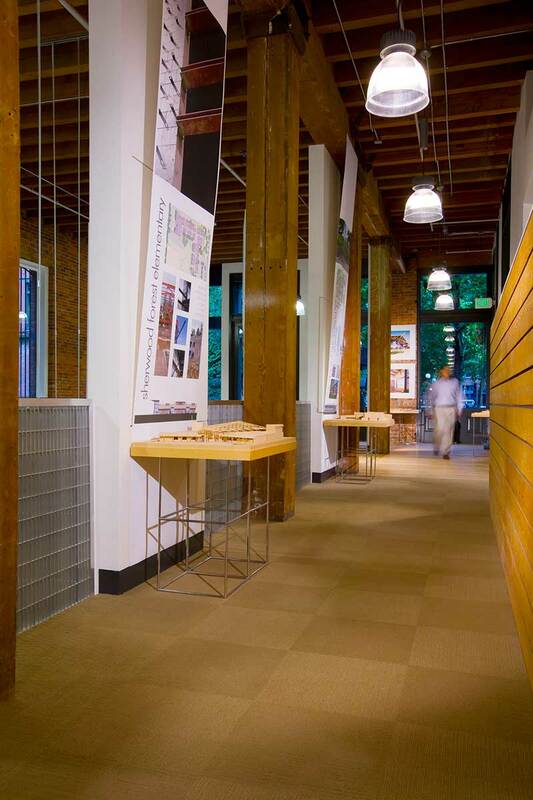 The tenant improvement was constructed in a historical building near Occidental Park in the heart of Pioneer Square. 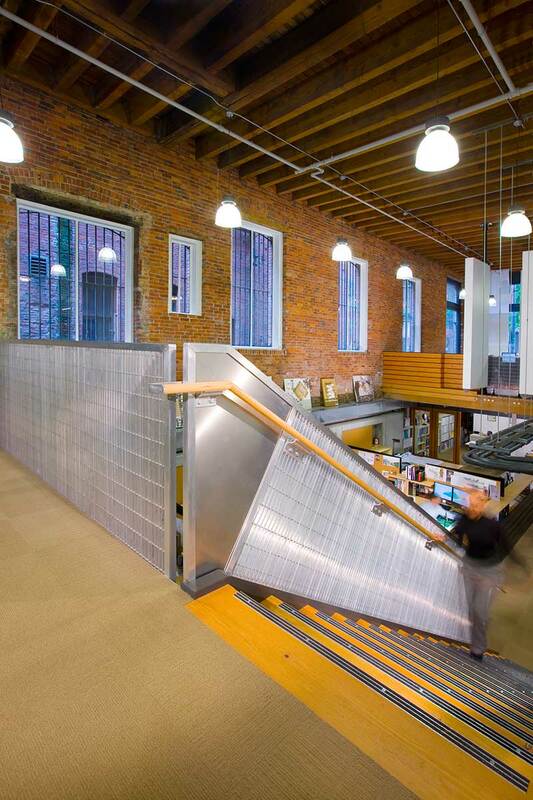 It includes a lobby and reception area, 4 hard-walled offices, 3 conference rooms, studio area, library, production area, storage and a kitchen on a first/main floor and mezzanine level. 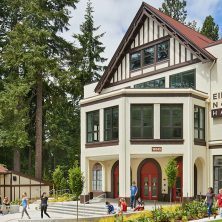 Kirtley-Cole Associates was awarded Excellence in Construction Honorable Mention – Historical Restoration by the Associated Builders & Contractors of Western Washington for this project.